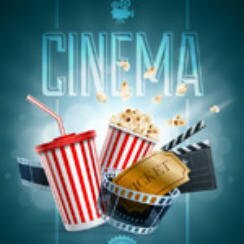 Popcorn Cinema Show takes a look at the weeks cinema releases for 18th March 2016 in the UK, US, Australia and New Zealand at the cinema, plus all the weeks film news. So what do we have this week? Well 10 Cloverfield Lane comes to UK cinemas but first up is a US release of The Divergent Series: Allegiant. So it turns out that comments attributed to Tim Burton regarding Beetlejuice 2 being greenlit and confirming Michael Keaton’s return have turned out to be false. Although don’t be surprised when Beetlejuice 2 does actually get the go ahead. Disclaimer: This is only the opinion of Popcorn Cinema Show.com, so no need for the internet to wild again confirming the sequel just days after it was denied! It has been announced that Indiana Jones will return in a new film slated for release in 2019. Both Steven Spielberg and Harrison Ford are on board. This is the story of a young girl suffering from a rare digestive disorder who is miraculously cured after surviving a terrible accident. Following a car accident, a young woman awakes to find herself in the basement of a man who claims to of saved her life from a chemical attack that has left the outside uninhabitable. The year is 1975, Dr Robert Laing moves into his new apartment seeking anonymity, however the building’s residents have no intention of leaving him alone. He decides to be neighbourly and befriends Richard Wilder, a documentary filmmaker relegated to the second floor who is determined to provoke the class injustices inherent in the high-rise.